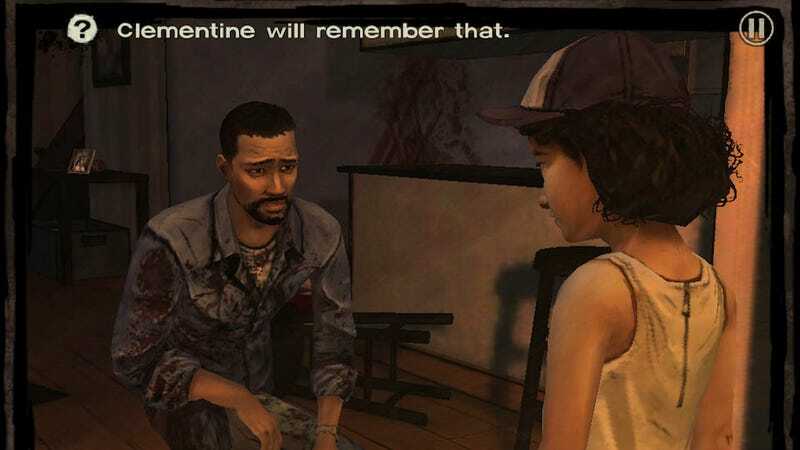 Lots of people have been lavishing love onto Telltale Games' adaptation of the Walking Dead. The terror of the zombie apocalypse—first imagined in Robert Kirkman's comics work—comes across as deeply personal in the episodic video game series. People have cried playing these games. But another, angrier emotional response has been bubbling up, too, generated not by the story but by the games' controls. Oddly enough, you can't invert the Y axis controls in the Walking Dead games. Fans who prefer to have down be up and up be down have been complaining for at least as long as April. There are hundreds of posts on Telltale's official forums griping about the lack of an invert toggle and requesting a fix. When he met with the developer at this year's E3 to preview Episode 2, Kotaku's own Kirk Hamilton asked about inverted camera controls. He was told then that Telltale was planning to patch it in but the controls remain as they have been. Seems like it wouldn't be hard to patch a thing like inverted camera controls in a modern-day video game release. It may seem like a small thing but it affects the way players experience the game in a very significant way. Kotaku has e-mailed Telltale for comment on the matter. We'll update this story if they respond.